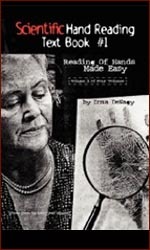 Two new Xlibris books reveal more insight on the basics of scientific hand reading - the author Irma DeNagy (1897-1977) was a student of palm reader William G. Benham, author of the so-called "bible" of modern palm reading: 'The Benham Book of Palmistry' (1900). PLEASANTVILLE, N.J., Jan. 9, 2009 (GLOBE NEWSWIRE) - Often times, fortunetellers claim to see the future by reading palms. Interestingly enough, there is scientific basis for this claim. Scientific hand analysis is an informative science, which decodes the system of lines and other symbols placed by God in our hands and helps one know oneself better. Author Irma DeNagy's Scientific Hand Reading Text Book #1 gives us more insight about this fascinating modern science. At birth, there exists a system of lines and symbols in our hands that gradually change as we grow. Only scientific hand analysis can detect and conditionally predict the outcome of an individual's problems or possibilities correctly. By learning and interpreting the code in our hands, one's extreme tendencies and the harmful or undesirable characteristics could be weeded out before more or extensive harm is done. This book is intended to rip the veil of superstitious nonsense and popular misconceptions from the science of hand analysis. Since this science indicates one's past and present conditions with just the conditional future, it is not considered fortune telling. With over 1900 illustrations to help facilitate the reading of hands, Scientific Hand Reading Text Book #1 makes it easy for anyone to learn the basics of reading hands. It proves that our futures are not always predetermined courses or "games of chance," but rather the consequential outcome of our free choices of attitudes and actions. Only occasionally are our lives governed by uncontrollable circumstances. As this science deals in causes and effects, it could help us live more productive, more secure, less fearful, longer, healthier, wiser, happier, and moral lives. The information it offers will allow one to better know himself, herself, or others easily, quickly, and accurately. Irma DeNagy was born Irma Eazol in Sz�kesfeherv�r, Hungary, in 1897. She married into the aristocratic Nozdroviczky family and had two sons. Since there were many Gypsies in Hungary, she became familiar with their folklore and fortune-telling. 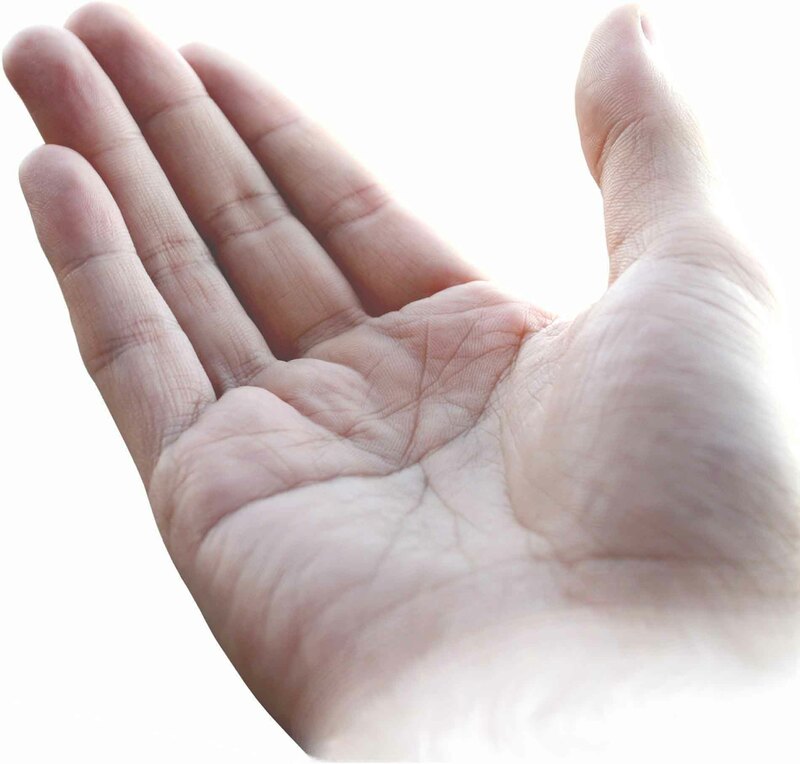 After reading a book about palmistry, given to her as a gift, she was �hooked� on the reading of palms. From that time on, she read many books about palmistry. She later married Ernest DeNagy, a renowned portrait painter who traveled throughout Europe. Under his tutelage, she became an artist of excellence, and her oil paintings are of the highest quality. While in Europe, she became fluent in German, French, and English and read many books on palmistry published in those languages. In 1931, she emigrated to the United States with her husband and children and settled in New York City. 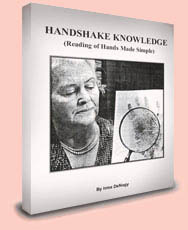 In 1952, she graduated from palm reader Dr. William G. Benham�s New York Institute for Vocational Guidance, which covered the scientific study of human hands. 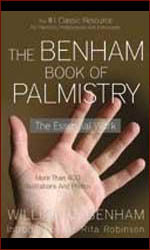 Benham is the author of the so-called 'bible of palmistry': The Benham Book of Palmistry . She later moved to McKee City, New Jersey, near Atlantic City where her husband opened an art gallery and art studio. Being one of the world�s foremost authorities on Scientific Hand Analysis, she lectured frequently throughout southern New Jersey and read the hands of hundreds of clients. Before her death in 1977, Mrs. DeNagy collected and read one of the world�s largest collections of books on palmistry and Scientific Hand Analysis. These numbered over 200 volumes published in Hungarian, German, French, and English. She dedicated most of her adult life decoding and interpreting the lines, symbols, and other features of the hand for the purpose of helping humanity. Her diagnostic work will be use as scientific hand analysis, has been documented as being highly accurate.